We offer cutting-edge technology to give you the best possible care. Wilckodontics®: McKenna Orthodontics is the only orthodontic office in the Greater Danbury area to offer the Wilckodontic procedure! The procedure will give you the same beautiful smile as conventional braces but works three to four times faster! Invisalign®: Invisalign uses a series of invisible, removable, and comfortable aligners that no one can tell you’re wearing. So you can smile more during treatment as well as after. Invisalign is made with 3D computer-imaging technology and has been proven effective. Clear Ceramic Braces: Ceramic braces are the number-one choice for aesthetic braces worldwide. Clear braces are smooth, sculpted, and translucent, and won’t stain or discolor. 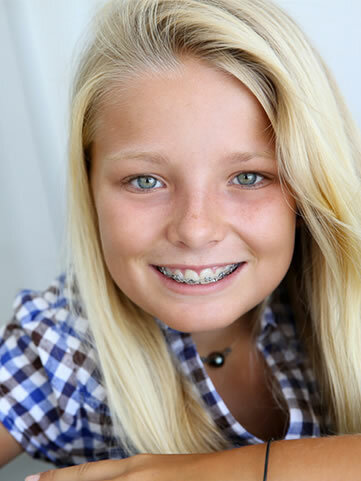 More than 14 years of clinical experience have shown clear braces treat as swiftly and effectively as metal braces. Cone Beam: McKenna Orthodontics is proud to offer the most cutting-edge imaging system. The Cone Beam Computed Tomography machine uses a cone-shaped X-ray beam to produce a 3D image of the skull. The Cone Beam is similar to a regular medical CT scanner found in hospitals, but it exposes the patient to ten times less, or 80% radiation than the medical CT. It is much more efficient than a standard X-ray machine, since it can take a 3D image and discern between many types of tissue, including bone, teeth, nerves, and soft tissue.